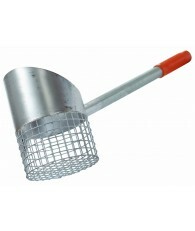 Lightweight steel, balanced Sand Scoop. 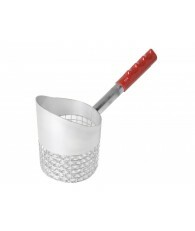 Your choice of sizes, 4" round basket or the larger 5" size. 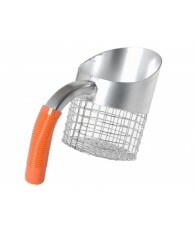 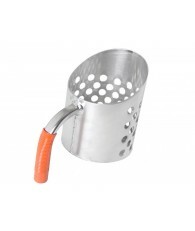 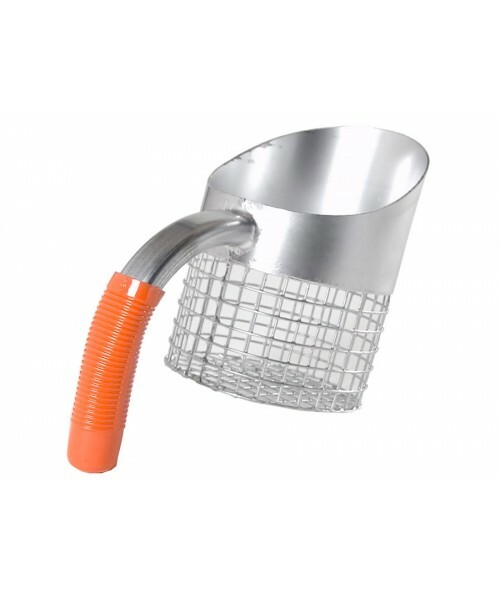 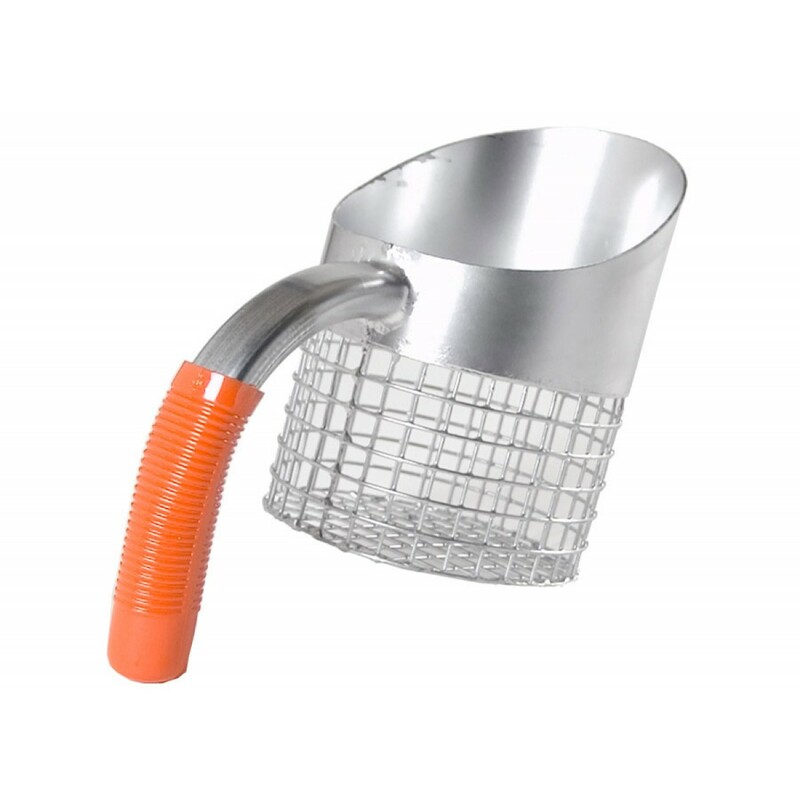 Features all welded construction, mesh steel basket design, comfortable rubber grips, angled cutting lip. 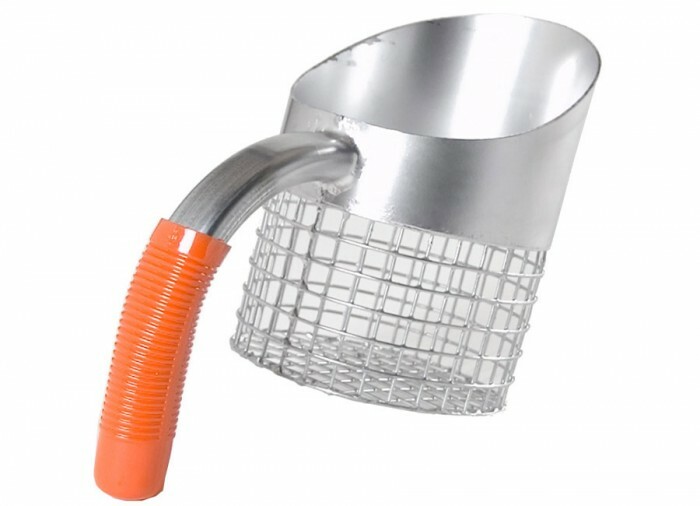 Overall 4x6.5" and 5x7".